The adult coloring book craze has been going strong for nearly a year. And I’m not ashamed to admit that I love to color. I love to color with my daughter. I find it relaxing and fun to spend time together coloring. Peyton uses adult coloring books too! She loves to color in mandalas. Over the past year, I have experimented with various coloring supplies. I have discovered that I enjoy coloring with colored pencils the best. Why colored pencils? Well, they are forgiving. You can blend them to get the perfect shade or use an eraser to lighten. One pencil can provide various shades. And you can get into tiny little spaces. Plus colored pencils do not leak through to the next page. Last week, Peyton and I tried out Magicfly Water Color Pencils. We both liked them, a lot. The first thing I noticed with the set when it arrived was the inclusion of two brushes. None of our other sets of colored pencils ever included paint brushes. 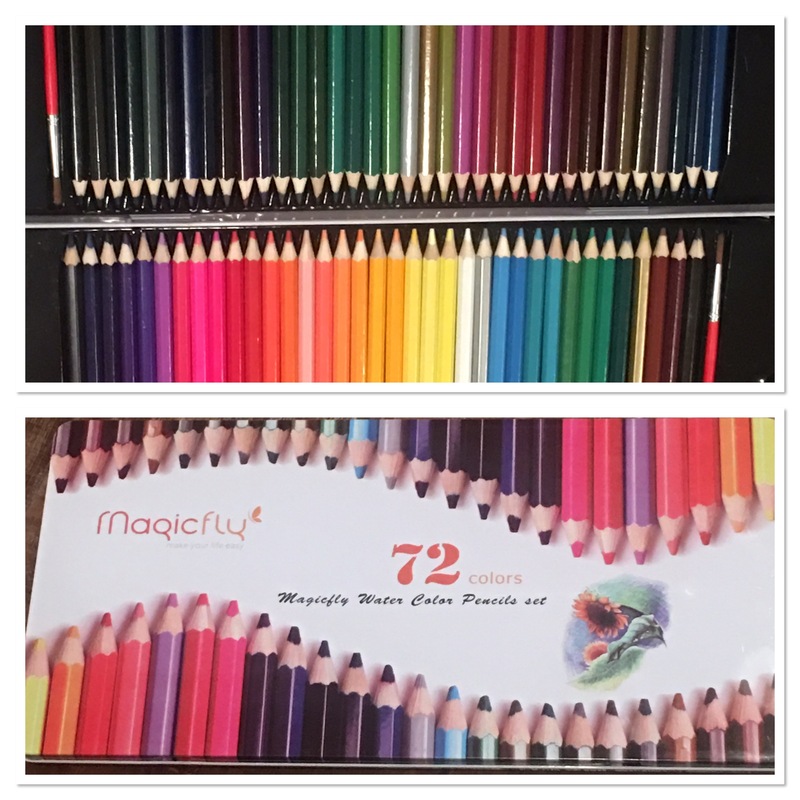 And there are 72 pencils! You are sure to find the perfect color or you are able to create it with this kit. Having a space to store the paint brushes is a bonus. I like using a little water and the brush to soften out a section of a picture. I can also use it help blend the edges of two colors for a flawless transition. It helps take my picture from a colored picture to a piece of artwork. Peyton has not mastered the technique of using water colored pencils. But it’ll come with practice. I think the trick is less is more. No need to saturate your picture. Just use a damp brush and you’ll see results. I also love the case. With a metal case, I don’t have to worry about the pencils breaking. If I want to bring them with us to the library, picnic or day trip I have a case to travel with them in. Not only are they safe and protected but they are also organized. Everything I need is all in one place. 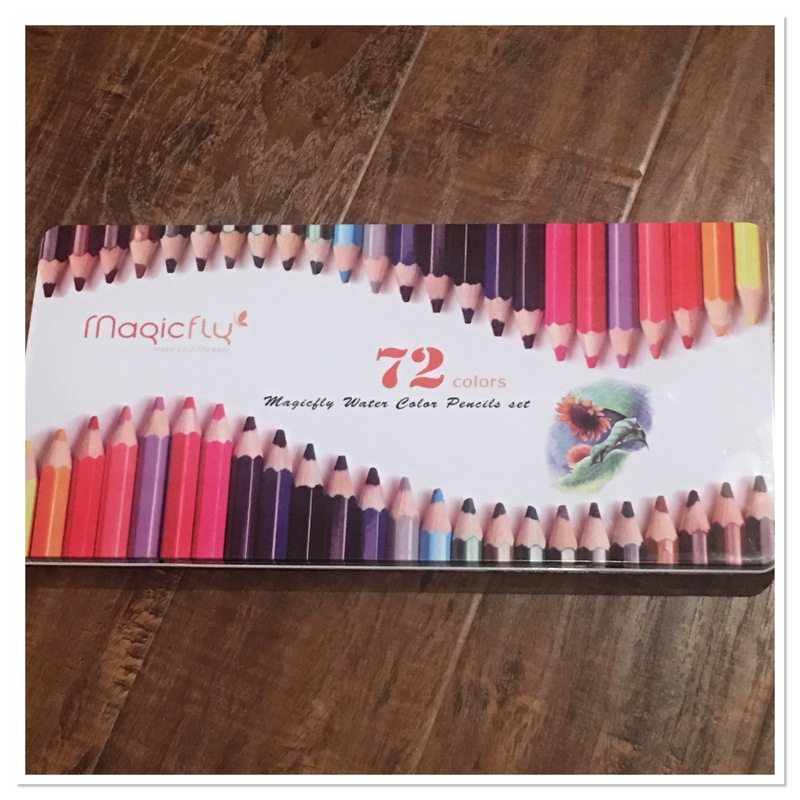 If you are a fan of coloring or just looking to experience water color pencils I suggest trying out the Magic Fly pencil set.